Each Topic Below has dozens and hundreds of scientists and their works including books, papers, and websites. Explore your topic of interest! In the 19th century, most scientists believed in a medium for the propagation of light, and called this medium "ether", "aether", or even "luminiferous aether", derived from the Greek αιθ?ρ,meaning to kindle, burn, or shine. However, the "static" aether concept was shattered by the famous Michelson-Morley experiment, in which no aether drag was measured within the limits of the 1887 equipment. Einstein's relativity attributed to the demise of aether, though ironically Einstein himself in 1920 claimed it necessary and essential. Einstein's "new" aether was dynamic, as are most aethers advocated today. Currently many independents believe the "aether" died a premature death, and that space is not "empty" at all. Aether theories vary greatly in detail, but most attempt to connect with electrodynamic fields and energy in some fashion. 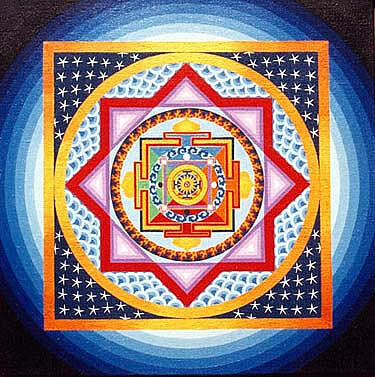 The nature of aether is ultimately connected with the nature of light, something that remains a worthy study. Here is yet another area which mainstream science believes is a closed book, yet deserves a closer look. The Big Bang is a theory that the known universe and all its galaxies, stars, and atoms, exploded from one very small-sized mass and spread throughout space. Although this is the prevailing theory of cosmology, it is problematic and today, many scientists are abandoning this theory for an eternal universe. 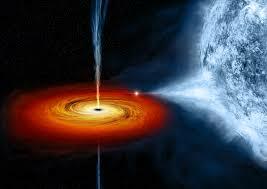 Black holes are very dense objects in space that have a very high gravitational force. Their mathematics in mainstream science are much to be desired and many critical thinkers have shown many flaws both mathematically, conceptually, and philosophically with black holes. 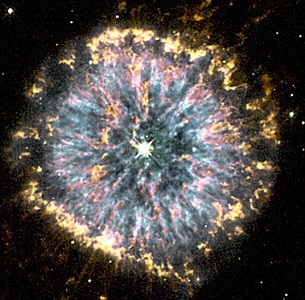 If astronomy asks "how", cosmology asks "why" the Universe is what it is. Mainstream science believes it has found the ultimate answer to the question of Universe origins with the Big Bang theory, and thus does not entertain alternative explanations. Historically, the Big Bang theory arose from Edwin Hubble's observation that the frequency of light from more distant sources is proportionately "shifted" down from the known spectra of hydrogen, helium, etc. Scientists in the 1930s compared this "redshift" with the well-known Doppler Effect, in which the frequency of a sound wave is reduced when received from a receding source. Since redshift was observed (nearly) equally in all directions, they concluded that everything is moving further away, and hence that the Universe is expanding. Further, if it has always been expanding, then it must at one time have emanated from a single point. 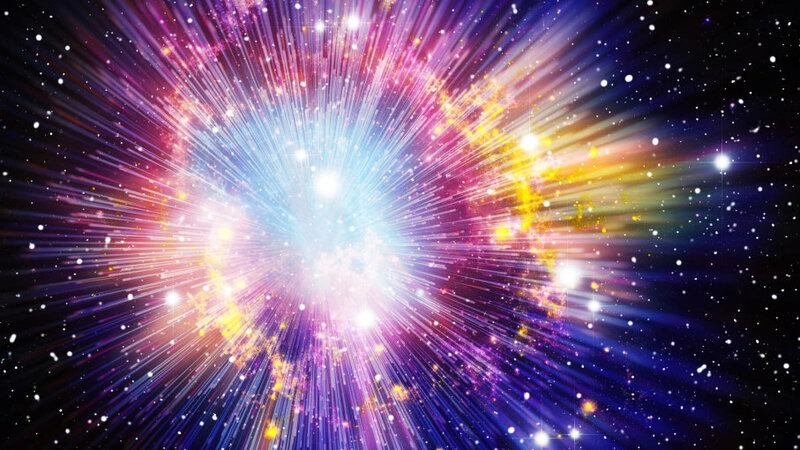 This theory, popularly called the Big Bang, became accepted as mainstream in the 1960s. However, there are other explanations for redshift besides a "Doppler Effect", and even accepting the Doppler idea, there could be other solutions besides a Big Bang. In the late 1960s, astronomer Halton Arp observed several redshift anomalies, in which stars at similar distances, even gravitationally linked, nonetheless produced radically different redshift values. Arp's "intrinsic redshift" throws a wrench into the whole works, because it shows that at least some redshift doesn't result from Universe expansion, but from other causes. Needless to say, neither Arp's work nor the work of the many other independent astronomers and cosmologists have received a hearing from mainstream science, despite a vast literature. Furthermore, slight differences in the amount of redshift from different directions (called "anistropies") have been observed, demanding explanation. Finally, questions have been raised as to whether the Doppler analogy between sound and light is valid, and whether "expansion" of the Universe is even meaningful, since one must ask "with respect to what" the Universe "expands". Bottom line: many concepts in accepted modern cosmology have problems, and many legitimate questions remain unanswered. The GSF doesn't claim all the answers, but does claim the need to investigate these foundational questions with an open attitude. While mainstream science has invented the Big Bang, black holes, dark matter, dark energy, and appeals to other universes, scientists who refuse to accept these unproven concepts receive ridicule. Despite this, scientists over the last 100 years have produced many viable alternatives to explain planetary evolution, the formation and annihilation of solar systems, and ultimate questions of origins. The GSF supports both theoretical and experimental research in innovative cosmology. In 1903 Norwegian physicist Kristian Birkeland predicted auroral currents perpendicular to the earth's magnetic field. In the 1920s, Irving Langmuir studied the filamentary structure of electrical discharges, providing a foundation for modern plasma confinement. Both Birkeland currents and Langmuir sheaths revealed not only fundamentals related to electromagnetism, but also its significance in the dynamics of the solar system. Systematizing this knowledge, Hannes Alfv?n founded the science of magnetohydrodynamics in the 1940s, boldly claiming that the universe is predominantly composed of plasma, or electrically charged matter. From these foundations has emerged a large body of literature supporting the importance of electricity and magnetism in governing celestial bodies. 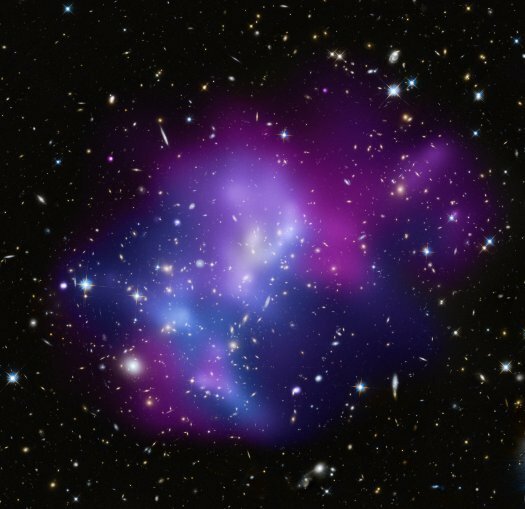 For example, Anthony Peratt of Los Alamos Labs succeeded in simulating virtually every known galaxy type via electromagnetic models. Yet mainstream science remains fixated with gravitational models of the cosmos, regarding electromagnetic forces of secondary and inconsequential importance, despite the fact that they are stronger than gravitational forces by a factor of 1040. Not only does the Electric Universe concept challenge conventional thinking about planetary interaction, but also the very structure of stars and planets. Mainstream science would have us accept a sun core at billions of degrees, somehow hot enough to sustain steady fusion reactions that have never been reproduced in the laboratory, whereas the electric sun model stresses the importance of lab-reproducible plasma currents throughout the solar system and beyond, providing the sustainable reactions that produce its known characteristics. Mainstream hot fusion models explain little about the relatively low temperature of the photosphere, the filamentary structure of sunspots, and the dominance of the sun's magnetic field. Moreover, mysterious features of many planets and moons can be readily explained in terms of electric potential gradients and plasma currents within and near planets. Geologic features like craters, canyons, and even mountain ranges have demonstrably similar characteristics with scarring damage resulting from abrupt electrical discharges. The Electric Universe model suggests that many features in our solar system may have occurred from massive interplanetary electrical discharges, perhaps even within recorded human history. Among its most striking claims, the Electric Universe paradigm holds that comets, asteroids, and even planets are fundamentally alike, each possessing magnetic fields and auroras, but differing in size and distortion of the magnetic "tail". According to E. U., comets are simply asteroids with orbits eccentric enough to reveal the magnetic field, especially at perihelion. In contrast, asteroids and even planets maintain nearly circular orbits and therefore exhibit only auroras. Evidence from NASA data strongly supports the contention that the planet Venus was once a comet. Electric Universe models predict that close examination of actual comets will not reveal conventional "dirty snowballs" at all, but electrical storms of cosmic proportions. It's time that science stepped up to actually study comets at close range to determine the merit or demerit of these bold claims. If one had to pick a single discipline that integrates and unifies all GSF research, the grandfather of them all, it would certainly be electrodynamics. In fact, an overall theme of independent science today might be that our knowledge of electricity and magnetism remains incomplete. In contrast, mainstream science regards electromagnetism as a closed book, something mastered and put to rest in the 19th century under Ampere, Faraday and Maxwell. Why such a dichotomy of opinion? Most independents point to the 1920s, when Einsteinian relativity and quantum mechanics became overnight superstars, and argue that the outstanding problems of that age were swept under the rug or simply ignored in the excitement of the new paradigms. Ironically these two darlings of 20th century physics are demonstrably incompatible, so the science that led to both, electrodynamics, might indeed need reexamination. The GSF agrees that a fresh look at the fundamentals can never do harm, and could lead to a greater synthesis. 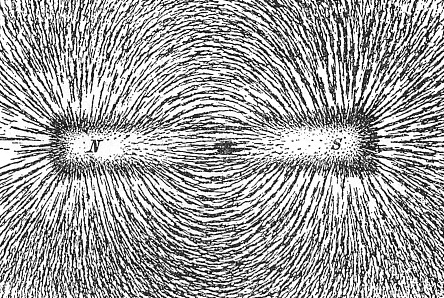 Why are electricity and magnetism so fundamental? James Clerk Maxwell's brilliant discovery that "light" behaves as an electromagnetic wave not only unified electricity with magnetism, but also connected them with optics, and thus with all optical experiments like the famous 1887 Michelson-Morley experiment. 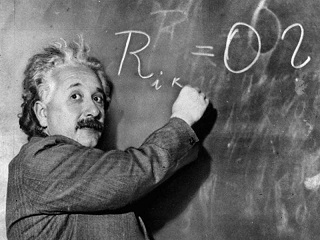 Einstein's relativity unequivocally rests on certain assumptions about light, and therefore about electromagnetism. Since J. J. Thomson's 1897 discovery of the electron and Ernest Rutherford's 1911 discovery of the positive nucleus, we've known that electrodynamic forces are at work even within the structure of the atom. Many independents today claim that electrodynamics provide the only valid mechanism needed to balance of forces for finite structures to exist at all. The driving forces behind cold fusion and Brown's Gas are electrical. Several innovative theories of gravity claim its ultimate cause from the very structure of atoms, with positive nuclei and negative shells. In fact, most gravitational "anomalies" arise from some sort of magnetic action. And moving from the small to the large, most independent astronomers agree that plasma, non-neutral matter, plays a much larger role in the cosmos than conventional thinking would dictate. Much of the technology and invention in the wake of Nikola Tesla's discoveries involve new concepts of magnetism and its fields. In fact, energy itself can be defined in terms of electromagnetic fields. Low temperature physics invariably involves interesting phenomena connected with magnetic fields. Finally, several independent scientists are discovering connections between electromagnetism and thermodynamics. As observed under the discussion of Electric Universe, even in the 20th Century, significant developments in electrodynamics have advanced. Yet we still don't really know how magnets work, why iron is ferromagnetic, why nuclei are positively charged. Surprisingly basic questions have yet to receive clear unequivocal answers. It would be foolish to assume that we now have complete knowledge of a subject so foundational, and so rich with surprises. The earth is definitely expanding or growing. The most obvious evidence is from the seafloor ages as described by the National Geophysical Data Center and NOAA Satellite and Information Service (http://www.ngdc.noaa.gov/mgg/image/crustalimages.html) It is easy to see that expansion happening all over the globe in all directions. Plate tectonics says that the Pacific is "different" in that the sea floor that is know to be growing is be eaten up (subducted) around the Pacific rim. The evidence for this is shaky at best. There are many problem the current (and newer) plate tectonic theory cannot explain including the fact that when you take away the seabed floor piece by piece in reverse order of its age, that all the continents fit together with little or no modification. "Expansion" tectonics is now going through a renaissance with many geologists around the world looking towards expansion tectonics for predicting where new oil fields are located, and where and when earthquakes will happen. The biggest questions people have are two-fold with expansion tectonics: 1) what is causing the expansion, 2) where did the water come from and why wouldn't the earth be all covered in water 200 million years ago when the planet was smaller. Although there are numerous theories as to why mass expands, one particular hypothesis is actually quite easy to follow. The earth's core is a nuclear furnace like the Sun's and it was a critical mass attained in this thermal nuclear reaction around 200 million years ago that started to increase the volume of the earth's core, cracking and expanding the continent shell resulting in the new seafloor and seafloor ages we see on the NOAA map. Being a core like the sun, there are well-known processes make larger and large atoms with immense heat and pressure inside the earth. Water, methane, and oil are produced inside the earth over time so there was less water 200 million years ago and lots of shallow lakes. This solves the big problem with plate tectonics of where water came from on earth - not from comets (which some say are fiery), but from within. Oil by many is now considered to be most all produced from inside the earth, and not from fossils (which account for only a small part of oil). Finally, expansion tectonics explains the "moving" of the South Pole very cleanly (see http://www.jamesmaxlow.com). 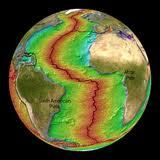 Its position is well known during the last 200 million + years and can easily be explained by an expanding earth. Mainstream science believes it has nearly unified the fundamental forces, electromagnetic, strong and weak, yet one force remains aggravatingly elusive: gravity. What is it? Why do we have gravity? Meaning heaviness, as opposed to levity or lightness, the term gravity was coined by none other than Isaac Newton himself, who surprisingly never claimed to know its cause. 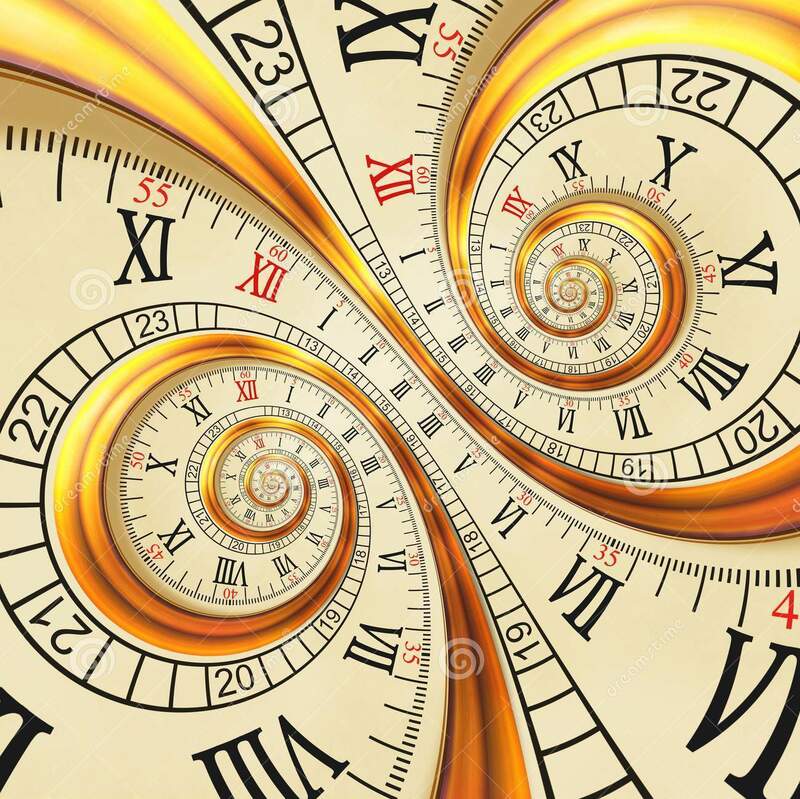 Einstein's general relativity characterizes gravity in terms of warped space-time, but provides no mechanism or causal explanation for it either. Why should matter fundamentally attract other matter? Or does it? Is "mass" even a measure of "amount of matter"? Grave questions about gravity remain unanswered. Several schools of thought regarding gravity exist outside mainstream. Some see gravity as a "push" from everything else in the universe EXCEPT the nearest objects, which impede the otherwise balanced flow of radiation from all directions. Some connect the magnitude of this push with the finite size of the Universe. Some look to quantum mechanics for a corpuscular understanding of gravity "particles", as first envisioned by Newton. Some view the dynamic motion of a vortex as the ultimate source of attraction, with static matter that fundamentally REPELS rather attracts. Some regard torsion physics as the seat of physical understanding. Some look to electrodynamics and the electrical distribution of matter within the structure of the atom as the source of gravity. In the latter model, a tiny net attraction results when offsetting the repulsion between like-charged nuclei or shell electrons with the attraction between oppositely charged nuclei and shells. Of course, these schools are not mutually exclusive, yet all have amassed numerous articles over the past several decades. Certainly these various interpretations should receive greater attention than they do, since mainstream complacency clearly has not engendered the progress of maverick science in addressing the fundamentals. On the practical side lies the question of whether gravity can be controlled or even reversed. Though this type of research receives harsh criticism from naysayers, the ranks of potential gravity controllers include people from the highest echelons of NASA and Los Alamos Labs right beside garage experimenters. 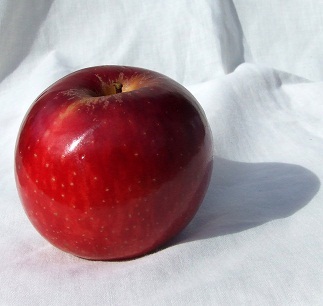 Most anti-gravity experiments involve weight change through rotation or magnetic action. In the 1970s, the late Eric Laithwaite and Bruce de Palma, for example, unequivocally demonstrated weight reduction in spinning objects, yet these startling facts have not been rigorously measured and adequately explained. Other experiments have shown that magnets fall faster (or slower) than neutral objects, indicating a connection between gravity and the earth's magnetic field. Sadly many urban legends have clouded the real issues, partly because of unsupported claims on the side of researchers and partly from straw man criticisms of detractors, often creating more confusion than progress. It's time to strip away fiction from fact, and become systematic about what we really do and don't know. The GSF stands to lead the way in this effort. Of all the areas in independent science, the study of energy has probably received the harshest and most unjust criticism. The age-old, predictable response from conventional critics is that "it sounds like perpetual motion, and that's been proven impossible." More than anything, the criticism reveals the ignorance of the critic, because the vast majority of new energy researchers don't claim to violate conservation of energy, but rather to extract it from the environment in new and unconventional ways. They attempt to construct "open systems", which allow environmental energy to flow in, possibly in excess of the losses inherent in any real physical system. For example, wind or watermill systems are traditional "open systems", in which tapping the energy of the wind or river doesn't eventually cause the wind or river to cease flowing. Clearly if energy is conserved, we're not running out of it, but simply losing it to unusable forms such as "heat". The important question is, does nature provide reservoirs of energy that can be tapped and yet replenished? In other words, are there things in nature that will return to a higher energy state after we've extracted energy from them? 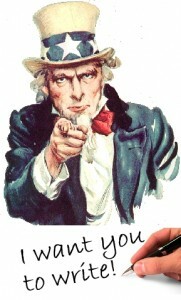 Many mavericks claim yes. What sort of things does nature return to a higher energy state after being tapped? Materials that naturally provide dipoles, or separations of opposites. If we had a voltage source different than "ground", say, the potential difference between it and ground would provide an endless source of energy. That is, the energy source would come from the dipole itself, which nature would naturally replenish. But what materials provide dipoles? The two most obvious are water, with an electric dipole, and ferromagnets, composed of magnetic dipoles. Could we shock water into a higher energy state, and tap its energy as it returns to a normal dipole state? Could we "shake up" a magnet, neutralizing its dipole, and tap its energy as the dipole returns it to a lower energy state? These materials are VERY unusual, because most materials are dipole-free in their lowest energy state, whereas water and magnets have HIGHER energy when dipole free, for whatever reason. What about the spherical dipole of the atom itself (positive nucleus and negative shell)? Electrical potential gradients in the atmosphere? Resonance associated with the rotation of the earth? The list goes on, with the common factor being something in nature that provides some kind of dipole. If the idea of nature providing dipoles sounds naive, consider current sources of energy. In 1800 Alessandro Volta introduced the Voltaic pile, which arose from the natural dipole arising simply by placing dissimilar materials adjacent to each other. Interestingly, this principle is not only the basis of semiconductors, but an area of intense research today. One early energy maverick, T. Henry Moray, who in the 1920s tapped energy from his "Swedish stone", also invented an early version of semiconductors from this same unusual stone. Vacuum tube inventor Lee de Forest (1906) conducted research in "chiral" or optically active materials, whose unique properties might also be tapped, especially in juxtaposition with other materials. Many mysteries remain regarding chiral and other special materials, and only smugness prevents mainstream science from exploring possible applications of these materials as an energy resource. 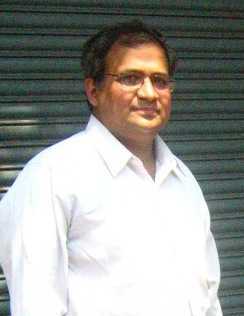 A related approach concerns resonance and integrates with concepts of structure. When an electrical circuit is first activated, as when one flips a switch, transient fluctuations dominate for a brief interval until the circuit settles into a steady state. In conventional engineering, this transient "noise" is regarded as a nuisance to be minimized, whereas many new energy researchers see it as a potent, yet untapped source of energy. Can we could capture this transience, they ask, with an "energy diode", so those fluctuations are put to work rather than lost? The transience occurs in the first place because the material has certain resonant properties, ultimately based on its very structure. What if we "flipped the switch" with the same frequency as the transient response? Would the response grow without bound? This is the misunderstood argument of Nikola Tesla, thw inspiration for many new energy researchers today. How are we to understand all of these ideas theoretically? First, by defining what energy really is, something mainstream science complacently believes it already understands. Many independents explain their anomalous results in terms of electromagnetic Poynting vectors, "zero point energy", or the Cassimir effect. The energy to be tapped, they claim, actually resides in space in enormous quantities, needing only coherence to be rendered usable. Surprisingly, mainstream scientific literature itself contains volumes of material in support of these ideas. New energy theorists also challenge conventional wisdom regarding entropy and the Second Law of thermodynamics, and ask whether certain systems under certain conditions can be made to "self organize", in harmony with the work of Nobel Laureate Ilya Prigogine, maverick Per Bak, and others. Without doubt, science will benefit from exploring new paradigms in our understanding of energy and entropy. 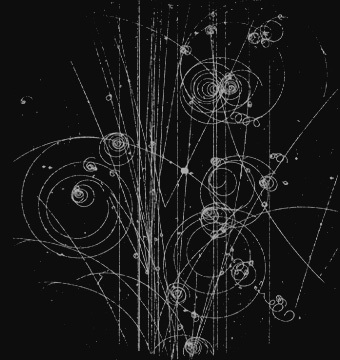 Modern particle physics is a mess. Dr. Alexander Unzicker says the following: “Today we have bottomness, hypercharge, strangeness, isospin. Particles are these little packages with these labels. To call a particle a conglomeration of labels, is a psychological displacement of how much one has distanced themselves from reason”. 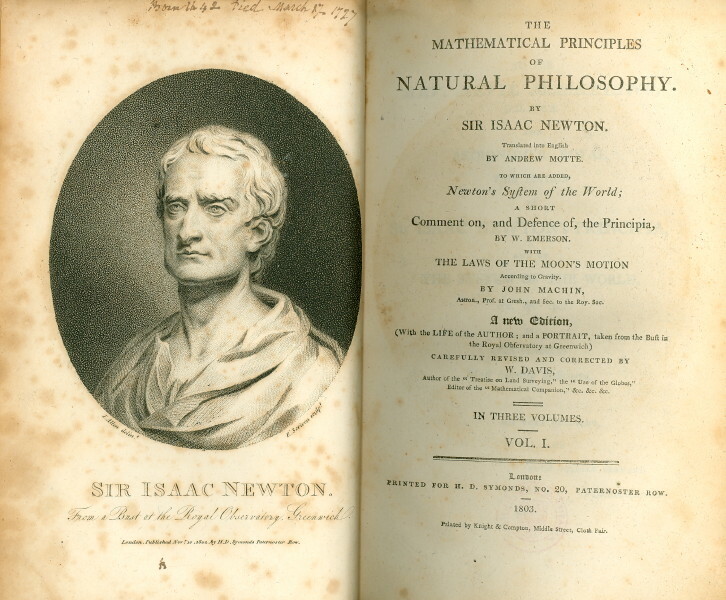 "Natural Philosophy" is the historic name we used before there was a "science" called physics. Philosophy looks at the rules and assumptions in life but it also applies to science. 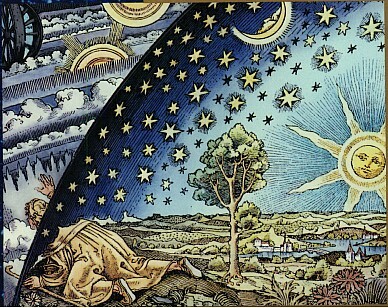 The "Philosophy" of the physical world is called "Natural Philosophy". Philosophy is very important to science and very neglected. This area however is very ripe for study, discussion, and authorship on the subject. In 1999, Time magazine dubbed Albert Einstein "Person of the Century" for his innovative and paradigm-breaking theory of relativity, which supposedly redefined time and space themselves. Yet the man on the street understands little of Einstein's ideas, except that they lead to warped space-time (whatever that is), an expanding universe, black holes, worm holes, an ultimate speed limit at the "speed of light", and the possibility of time travel. 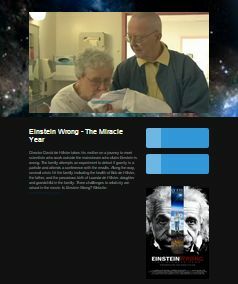 Most students in science encounter Einstein in a physics course, and solve a few problems, but never quite get comfortable with the ideas, and rarely use them in any practice anyway. Most people believe relativity essential to the development of GPS, though GPS scientists actually use Newtonian physics, to the details of particle physics, though it remains grossly incompatible with quantum mechanics, and to space travel, though nothing has ever returned from space at a younger-than-expected age. In 1927 Werner Heisenberg published his "uncertainty principle", declaring a limit to how much we can "know" about a particle's position versus its momentum. From this concept, a conviction has arisen that the structure of particles can't be "known" in detail. Instead conventional wisdom dictates that we must accept the properties of elementary particles as "intrinsic", given, not derivable. Yes, we can measure the mass, spin, magnetic moments, and other properties of such particles, but can't expect to derive any of them, because uncertainty forbids it. Thankfully, a number of maverick scientists refuse to accept conventional wisdom on this point, and advocate a dynamic balance of forces to sustain finite structure in particles. Actually the notion of structure is nothing new, since attempts to understand the fundamental structure of matter extend back to the Greeks, and no doubt before. The idea of finite structures bound together by their own motion has almost invariably led natural philosophers to closed loops and vortices, since motion confined to finite space simply must circulate. After the Greeks, vortex ideas were explored in the 17th century by Kepler, Descartes, Leibniz, and Huygens, in the 18th by Swedenborg and Bo?koviÄ?, and in the 19th by Amp?re, Fresnel, Kelvin, Rankine, Tait, and many others. In fact, Amp?re actually visualized the ultimate particles as tiny electrical circuits, whereas Kelvin, for example, was less specific about the vortexing matter comprising particles. In 1915, an English visiting graduate student at Harvard, Alfred L. Parson, presented the first "modern" model of the electron, the "magneton", a toroidal circuit of electrical charge. Parson meant to improve Bohr's famous 1913 model of the atom, which depicted electrons as circulating point charges, by "smearing" the charge around the entire circuit. According to the known laws of physics, accelerating charge must radiate, yet in Bohr's model, as in all point particle models, electrons mysteriously accelerate without radiation. This anomaly has been swept under the rug with the mantra that quantum physics behaves by a different set of rules than classical physics. Though little known today, Parson's magneton was a substantial influence on Gilbert Lewis's concept of molecular bonding and Arthur Compton's famous Compton Effect. In fact, one of Compton's graduate student, Winston Bostick, was one of the maverick's who revived Parson's magneton idea in the 1960s. Most structuralists claim that the known properties of elementary particles can be determined by the manner in which the various circuits comprising particles intertwine. That is, particles are identified by their "topology" or "knottedness". Today science is just beginning to appreciate the connections between the properties of knots and of fundamental particles. By applying a set of rules consistently, some structuralists have reproduced not only properties of particles, but hundreds of characteristics throughout the periodic table. Eventually, structuralists hope to explain not only the structure of hydrogen and helium, say, but why water remains electrically dipole, why iron is ferromagnetic, and why nuclei remain positive. Finally, structural principles, such as found in the work of Buckminster Fuller, can apply at the macro- as well as micro-level, can be used to explain the nature of DNA, and may even explain mysteries at the cosmic scale. Answers to these questions can revolutionize science in ways hard to even imagine today. Many people follow the brilliant work of Nikola Tesla. The areas of interest are electricity, electromagnetic fields, gravity and anti-gravity, and energy. 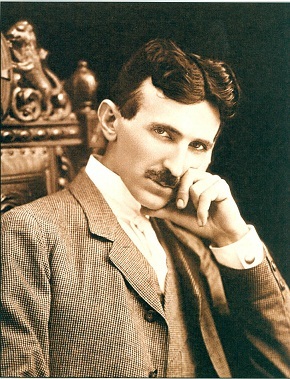 There is a large following of Tesla's work and is one of the few "dissident" scientists that enjoys mainstream popularity. Many scientists propound theories trying to unify the four classic forces in nature, electromagnetic, strong, weak, and gravity, to the point that "theories of everything" are now a dime a dozen. In the 1970s, the infamous "string theory" looked like the Holy Grail for unifying all of physics, yet 40 years later its legacy consists of libraries of confusing mathematics with little advance in physical understanding. Of course, mainstream science has to some extent unified strong and weak forces with electromagnetism, but many independents claim that these "forces" were artificial to begin with, since they say electromagnetic forces suffice to explain the structure of atoms. And even if gravity were unified with the the other three, could a "unified" theory be complete in any sense if didn't connect these forces with thermodynamics or quantum mechanics? Clearly unification means much more than one simple formula to solve all the world's ills. 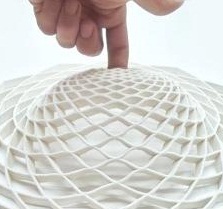 It means a return to the drawing board and rethinking physics from its very foundations. Among independents many comprehensive theories exist, superior to and yet simpler than string theory, in harmony with a significant portion of scientific observation and experiments. 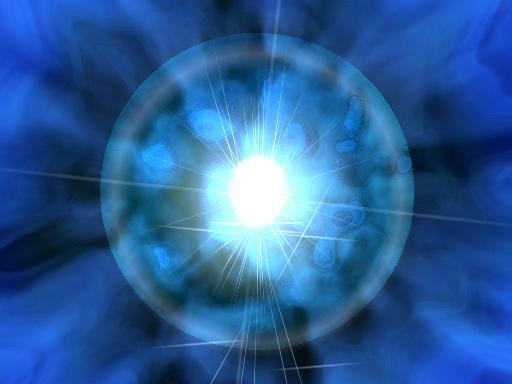 Most, but not necessarily all, of these theories revolve around electrodynamics; many focus on its connection with gravity; some involve aether concepts; many spawn profoundly new definitions of energy, mass, light, spin, etc. In virtually every case, the unified theory comes not from new mathematical equations, but from radically new interpretations of old ideas. If history serves any purpose, we should expect not one grand unified theory expounded by one especially brilliant theorist, but rather a number of unifying ideas that converge on certain unifying principles. Today we're seeing clear convergence toward dynamic as opposed to static structures, the hugely significant yet largely overlooked roles of magnetism and plasma, the fundamental nature of the vortex and resonance, possible conditions for self organization, and surprising connections between thermodynamics and electrical interactions. Rather than seek a single solution to the problem of unification, therefore, the GSF intends to unify physics one connection at a time, in a process of unification.